Once upon a time - not all that long ago - kitchens were arranged on very basic terms by people who didn’t particularly know (or care) how they’d be used. Thankfully, we’ve progressed in leaps and bounds since then – and kitchen design is recognised as a very important part of building a good home. 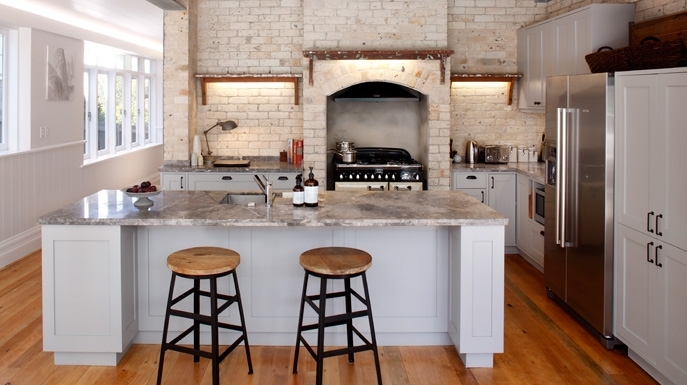 An award-winning kitchen design by Erika Forster of White Door Design in Sydney. Photo by Eliot Cohen of Zeitgeist Photography. Why should I hire a kitchen designer? With the right planning and attention to detail a good kitchen is not only functional, but also attractive, safe, intuitive and a comfort to use. A well designed kitchen takes into account not only how it’ll be used (and by whom), but also its role and position within the context of the rooms and spaces that adjoin it. A well designed kitchen’s also a smart investment - buyers will very much appreciate a good kitchen when you’re ready to sell up. Some people still see professional kitchen design as a bit of a luxury, but a professionally designed kitchen will normally pay for itself – possibly several times over - in terms of the value it adds to your property. What do kitchen designers do? A good professional kitchen designer will work closely with you to assess your tastes and needs, your budget, the space you have available and how it complements the rest of your house. Certified Kitchen Designers are professionally trained, and usually come from related backgrounds. 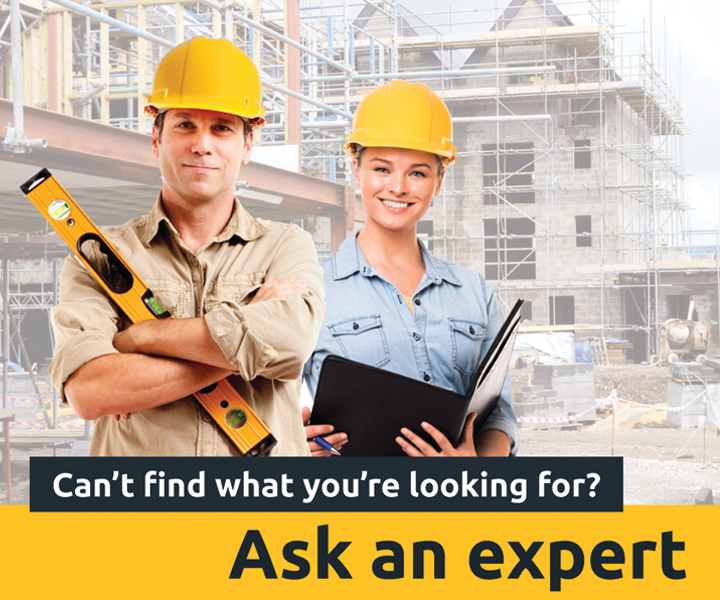 Many of them start their careers as cabinet makers, carpenters or interior designers – which means that they’re usually very well versed in both the practical and theoretical sides of what they do. Depending on the designer, they may also be able to arrange the necessary contractors and manage the project for you. What does good kitchen design involve? 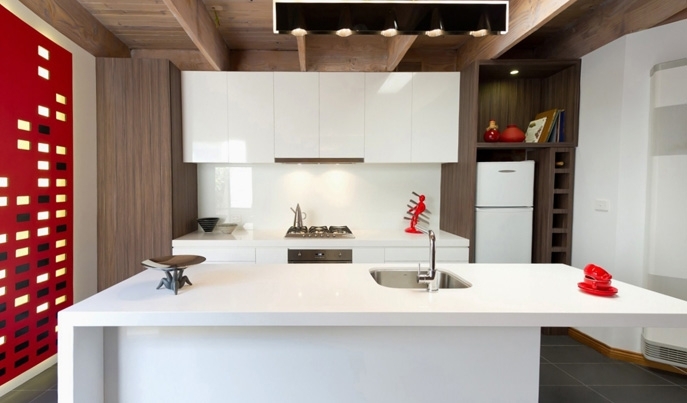 An award-winning kitchen design by Patricia LaTorre of OUTSIDEINSIDE Building Elements in Melbourne. What sorts of qualifications should kitchen designers have? Technically, there aren’t any legal requirements to determine who can be called a ‘kitchen designer’. If you’re paying for someone to design your kitchen though, it’s well worth making sure that they’re genuinely up to the task. The KBDi (Kitchen and Bathroom Designers Institute of Australia) provides a year-long course (including a range of practical work) through a registered training organisation to ensure that designers are equipped with a high level of skills and knowledge. Once qualified and and having gained the required industry experience, professional kitchen designers may apply to the KBDi to become a 'Certified Kitchen Designer' (CKD). They're required to undergo assessments to ensure their work is of a consistently high standard. To maintain their certification, designers are required to stay abreast of changing trends, technologies and building regulations. While you don’t necessarily have to hire a Certified Kitchen Designer, doing so will definitely help to ensure that you’re getting what you’re paying for. This isn't to say there's anything wrong with non-certified designers, of course - but be sure that the person you hire is someone you can trust, and who has all the necessary skills. Where can I find a kitchen designer? Kitchen designers are often employed in-house by kitchen material suppliers – and just visiting a few showrooms is often an easy way to stumble across one in your area. Others contract directly - you can normally find these designers through search engines or local directories. The KBDi also has a Find a designer tool on its website to allow you to search for a certified kitchen designer in your area - you can also get quotes from local kitchen designers through BUILD. Remember: working with a kitchen designer’s as much about your own requirements as it is about the designer’s creative vision. Look through award-winning work by some of Australia's best kitchen designers in the kitchen ideas gallery.